Ashoka hears a girl talking positively about life. She is a fruit seller. Ashoka is drawn to her. He starts following her. He loses her as he collides with a net on his way. She gives fruits to the kids nearby. A kid asks her name. Ashoka looks on intently at her as she turns. His view gets blocked because of a passerby. He misses seeing her. The kids stop his way as they recognize him. Another girl meets that girl. I have come to give you a message. I have heard that someone is being sent to Takshshila with a peace proposal. You can request them if you want to go. The girl leaves to meet the monks. Amadhya Raakshas and another guy are standing holding a pot of water in their hands. They stand on one foot. The other guy’s concentration breaks as he looks at Amadhya Raakshas focusing intently on the water pot. He fails in the competition. Amadhya Raakshas wins. He gets to choose all the people who will go with him on this expedition. The other guy requests him to take him along. I will get to learn a lot from you. The girl runs inside to meet Bodheshwar (Amadhya Raakshas). She requests him to take her to Takshshila. He tries to make her understand that the situation there isn’t positive. She insists upon going there. It is almost like my last wish. He talks about patience. She looks determined. If patience and concentration are so important to go to Takshshila then be it. She too stands on one foot as she holds the pot of water in her one hand. Amadhya Raakshas thinks he cannot tell her the truth. 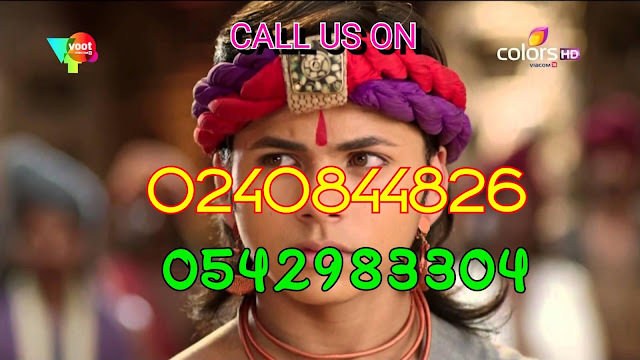 I am just trying to reach Kichak so I can kill Sushim and Ashoka. I am not the real Bodheshwar. Sushim doubts Amadhya Raakshas’s intentions. Charu can sense that he isn’t fine. He had gone outside for a walk. She asks him if he is hiding something from her. We have to know everything in this game. Sushim nods. I was feeling restless so I went outside. I am feeling better now. He leaves. Dharma comes to meet Ashoka in disguise. She calls him her ornament. Your fame will become my ornament now. He notices her sad eyes. She gives him Acharya’s letter. He had written it for me. She reads it to Ashoka. If this letter has reached you then it means this is my last message to you. I would have said the same to my daughter, if I had one. Understand me like a father. I am indebted to you for raising Ashoka with such good values. These qualities will take him to great heights in future. The world will be indebted to both you and him in future. Ashoka is bound to become the Samrat so the humanity remains intact / good. It is important for the betterment of the world. The one who sits on the throne should be ready to sacrifice himself for his motherland. The path isn’t easy though. One has to pick up a weapon against their close ones too at times. He should be allowed to end the lives of all the wrong people that come in his way. Dharma thinks of all the people who Ashoka has killed till date. She reads further. 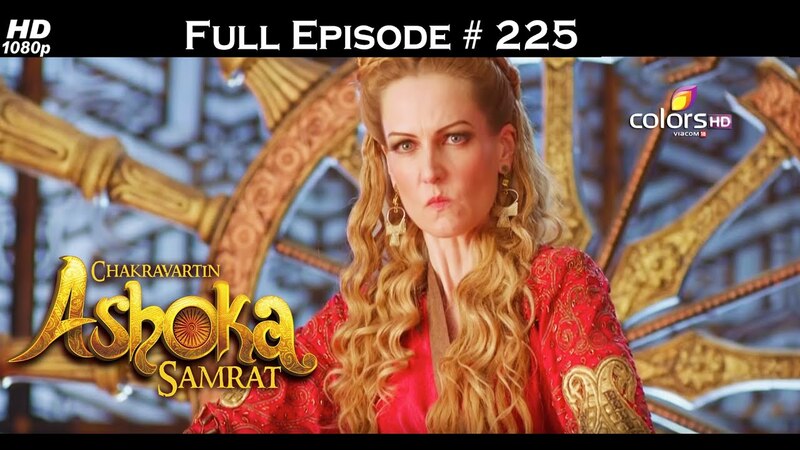 Chanakya asks her to allow Ashoka to kill the enemies of Magadh and entire India. It will make things easier for him. She breaks down by the end of the letter. Dharma tells Ashoka that she accepts this as last wish / order from Acharya. My teachings will make things hard for you at times. This war isn’t personal but for united India, your citizens. You have to do what is right for everyone. Think through before making any decision. You have been given powers but don’t ever misuse them ever. She ties a bracelet around his wrist. She explains about its significance to him. He says Satyamev Jayate in the end. Amadhya Raakshas asks the other guy to get ready. We will leave as soon as the first ray of sun appears. There is lightning outside. The guy points out that heavy rain are expected tomorrow. Amadhya Raakshas isn’t bothered by it. You can stay back if you fear this heavy rain. He later goes out. Amadhya Raakshas is shocked to see Kaurvi still rooted in her place. He walks away without saying anything to her. Kaurvi holds her ground even by next morning. Amadhya Raakshas asks her why she is hurting herself. Why do you want to come to Takshshila? He gives in. She looks glad. Precap: Amadhya Raakshas vows to make sure Ashoka is not able to complete his journey. Ashoka vows to fulfil Acharya’s dream. I only will become the Samrat!